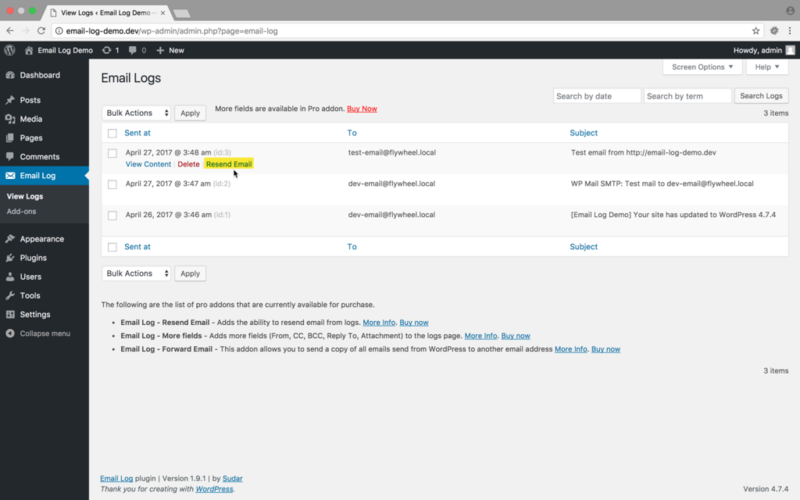 Resend Email Addon allows you to re-send the original email sent from your WordPress website. Once you activate the license and install the add-on from the Add-on’s (WordPress Dashboard → Email Log → Addons) page, you can then activate the add-on from the Plugin’s (WordPress Dashboard → Plugins) page. How To Resend Email from WordPress Dashboard? In order to resend email, head over to the 'View Logs' page. 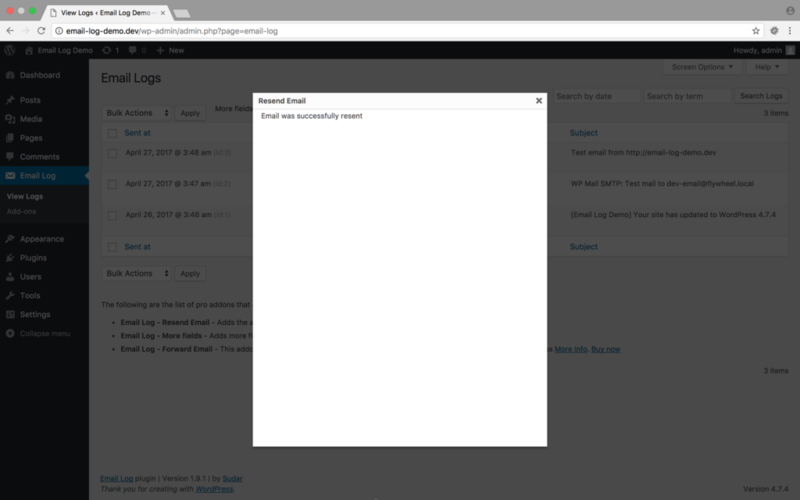 Hover over the email to be re-sent and click the 'Resend Email' option. You can modify the information in the Resend Email dialog that pops up. Clicking on the 'Resend Email' button, will send your email and a confirmation message will be displayed when your email is sent successfully.